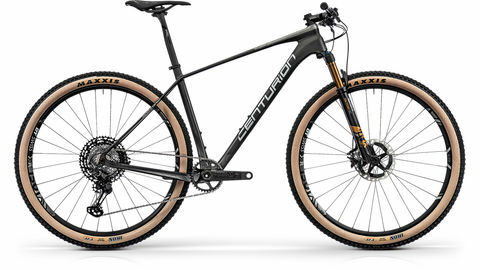 “Thank you Centurion: The company from Stuttgart invented the trekking bike and are an institution in the sportive category. Now they give more attention to urban bicycles. We welcome this, as the brand stands for high-quality manufacturing, good componentry, a fair price/performance ratio, with focus on quality. Does this bike carry the genes of their sportive bikes? First, the very well made frame with special tube diameters attracts attention – for comfort, riding performance and rear end stiffness. The cockpit offers ample traffic overview. We like the grips without a specifically ergonomic shape. The brake levers feature inlets so you don’t have to grab the cold metal. Power transmission is taken care of by Shimano’s 7 speed coaster rear hub. Since classic V-brakes are additionally in place, you have threefold braking opportunities at your service. Looking at the good wheels, the 45mm tires draw attention. Reduced rolling resistance, more comfort and high volume. Perfect for when you have to ride over sharp curbstones. Here, the (non adjustable) suspension fork can help a bit, the seat post however is rigid. If you want more comfort here, you can mount a suspended version. We’re not completely happy about the (nonetheless posh) Curana fenders though: they don’t cover the sides well and have sharp edges. 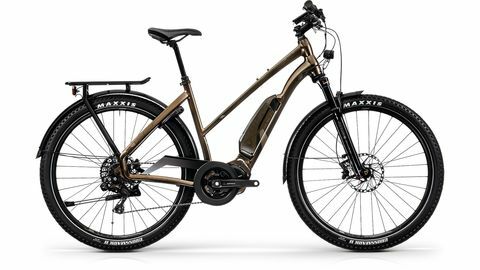 Outstandingly balanced riding performance, confident directional stability, sensibly agile, sporty if desired. Very good seating position, and the firm comfort makes the bike spin along quickly.